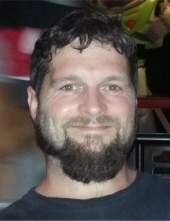 Brandon Edward Smith, age 33, of Barton Mill Road, Corbin, Kentucky departed this life on Thursday, April 4, 2019 at the University of Kentucky Medical Center in Lexington, Kentucky. He was born on October 21, 1985 in Cincinnati, Ohio to Ronnie Smith and the late Deana (Bullis) Smith. He is survived by his daughter, Anna Belle Smith of Corbin, Kentucky; girlfriend, Ashley Harmon of Corbin, Kentucky; four brothers, Kevin Manning, Dennis Poe, Dustin Smith and Danny Smith, all of Corbin, Kentucky; sister, Jamie Peters of Corbin, Kentucky; father, Ronnie Smith of Corbin, Kentucky; and a host of other family and friends to mourn his passing. Visitation will be after 5:00 P.M. Monday, April 8, 2019 at Croley Funeral Home. To send flowers or a remembrance gift to the family of Brandon Edward Smith, please visit our Tribute Store. "Email Address" would like to share the life celebration of Brandon Edward Smith. Click on the "link" to go to share a favorite memory or leave a condolence message for the family.